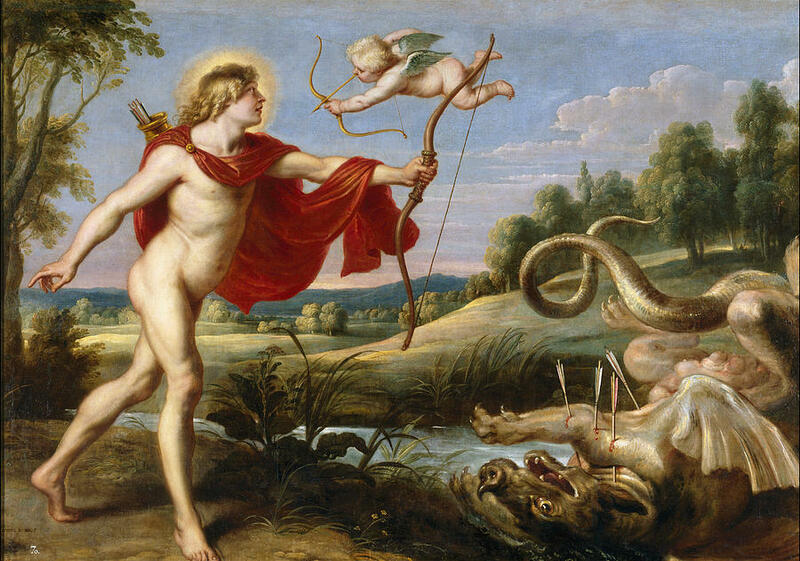 Ah, yes, January 22, twin two's, in Ancient Greece, this day was dedicated to the Sun god, Apollo. It was believed that for anyone who carried his emblem, good luck, light, and truth would follow. The nine Greek goddesses of inspiration who watch over musicians, poets, and artists are also honored on this day with the celebration of the Festival of the Muses. 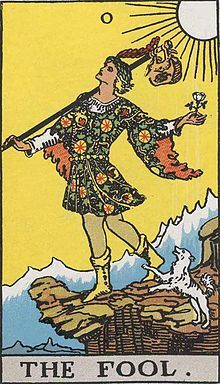 The Tarot card awarded this day is the 22nd card of the Major Arcana: The Fool. The Fool, who in several versions is shown blithely stepping over the edge of a cliff. Some interpretations picture him as a foolish man who has given up his reason, others a highly spiritualized being free of material considerations. The highly evolved Fool has followed life's path, experienced its lessons and become one with his/her own vision. 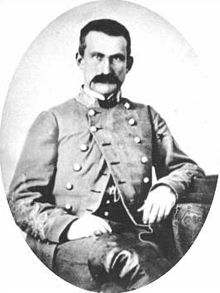 On this day in 1927, the second-to-last surviving Confederate general of the American Civil War, John A. McCausland, dies in Mason, West Virginia, an unreconstructed Rebel to the end. Nicknamed “Tiger John,” McCausland was born to Irish immigrants in 1836 in St. Louis, Missouri,and moved to Virginia as an adolescent. He attended the Virginia Military Institute and graduated in 1857. When the Civil War began, he organized an artillery regiment and formed the 36th Virginia from the western part of the state. McCausland spent most of the war in the mountainous region of western Virginia. On May 9, 1864,he distinguished himself at the Battle of Cloyd’s Mountain. For the victory, he was promoted to brigadier general. Two bold actions defined McCausland’s career. First, in June 1864, he drove a larger Union force commanded by General David Hunter from Lynchburg, Virginia, earning him the city’s gratitude. He then joined General Jubal Early’s invasion of Maryland in July. Early dispatched McCausland and his cavalry to Hagerstown to exact a $200,000 ransom from city officials. McCausland rode into Hagerstown and delivered his hand-written note to authorities. However, due to a mathematical error, only $20,000 was secured. McCausland then moved on to Chambersburg, Pennsylvania, and pulled his second notorious feat–he tried to extort more than $500,000 from Chambersburg officials, and burned the city when he did not receive the money. McCausland joined General Robert E. Lee for the Confederates’ last desperate attempt to escape in early 1865. He broke through the Union lines near Appomattox, Virginia, and surrendered later at Charleston, West Virginia, after many Rebels had laid down their arms. After the war, McCausland, facing an indictment for the burning of Chambersburg, fled to Canada, Britain, and then Mexico. He returned to the U.S. in the late 1860s after being told he would not be prosecuted for his war crimes. He settled on a farm in West Virginia and lived as a recluse for the rest of his life, stubbornly defending the Confederate cause. McCausland died 13 months before Felix Robertson, the last surviving Confederate general. The name McCausland or McAuslane, as it was called in an early day, is not unknown in ancient Scotch and Irish history. In the days of Wallace and Bruce the McAuslanes lived on the shores of beautiful Loch Lomond in the highlands of Scotland, where they flourished and acted well their part in the bloody local wars of the times. They fought for Malcolm II, who gave them lands and a coat of arms as well. Most of the McCauslands of Tyrone and Londonderry are descended from Baron McAuslane, who with his two sons, migrated to Ireland from the parish of Luss in the latter part of the reign of King James I. The elder son of Baron McAuslane was the father of Colonel Robert McCausland who had estates in the parish of Cappagh in Tyrone County. Alexander McCausland, one of the descendants of Colonel Robert, married his cousin Elizabeth Kyle, the daughter of William Kyle who was knighted Sir William the Belt for gallantry and rewarded by land grants in Tyrone, Ireland. Because of threats of Catholic enemies, Alexander, a Protestant, sold his lands about 1800 for $1,400. He then embarked with his family for America. With his wife and eleven children he landed at Baltimore; then proceeding by wagon to Staunton, Virginia, he joined his relatives, the Kyles. One of Alexander's sons, John, married a cousin, Harriet Kyle Price, a widow who was the daughter of William Kyle and Sarah Stevens Kyle. Today, the old soul can still be reached in many haunted locations. 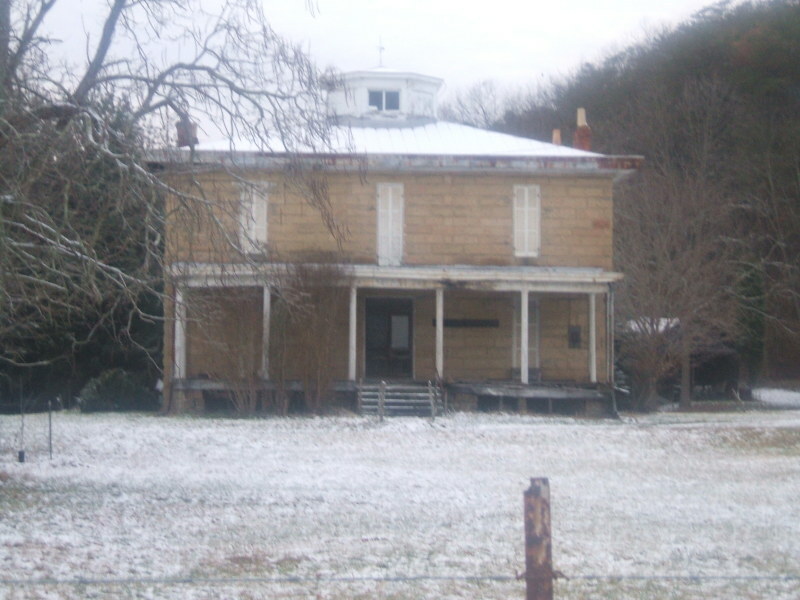 Most notably, the house he built in West Virginia called "Grape Hill" for the numerous grape trees on it at the time of conception. As noted in "American's Most Haunted," visitors to the house get "A sense of being watched and phantom footsteps that follow you everywhere...." There are others, most notably the one from Chevy Chase, Maryland, on a street of one of McCausland's battles: children hear a man whispering, "Wait For Me." The local believe it is the ghost of McCausland.